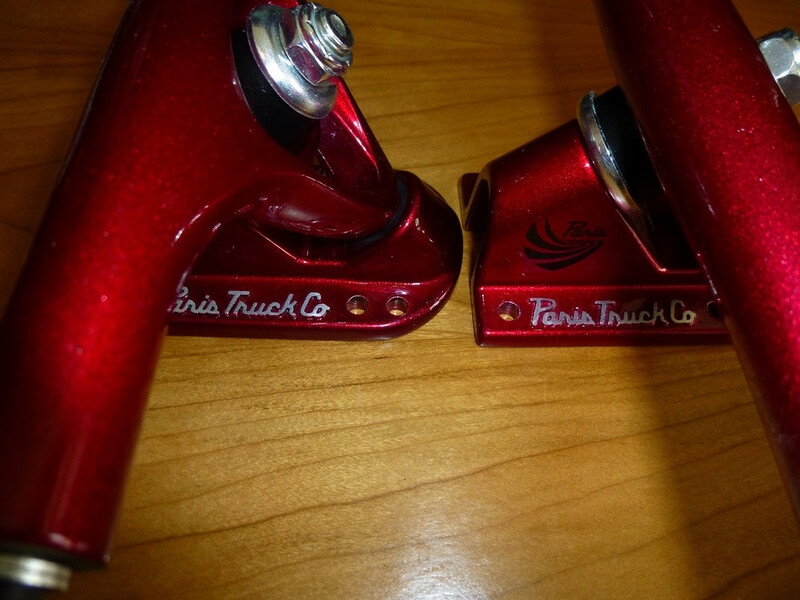 Up for sale are 2 sets of Paris V2 50 degree 180mm downhill trucks. Bought these to outfit a few setups for nephews that didn't work out. One set is red satin the other is black. 6 hole mounting pattern. 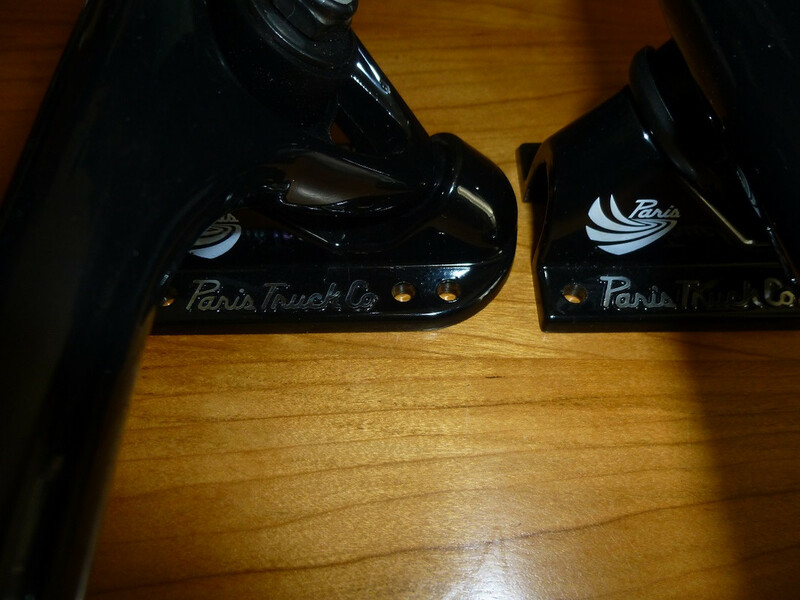 Just set them up on the decks but never ridden. So, basically brand new but may have very minor storage marks. Those are not scratches in the pic, but flash reflections. Either set is $38 shipped/insured USPS Priority Mail. PayPal gift payment. that's it? 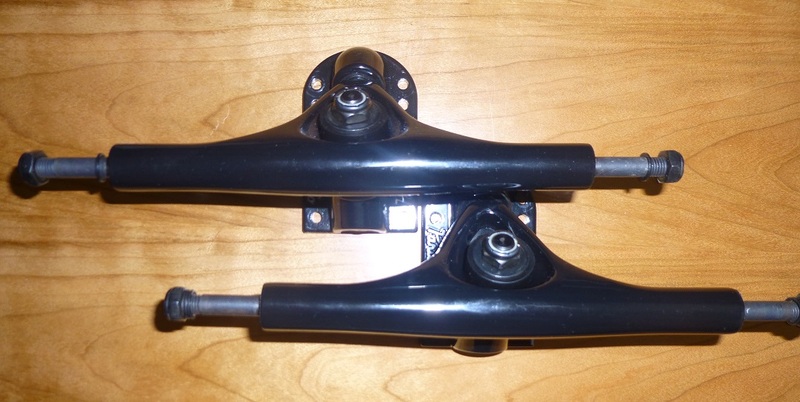 38 dollar trucks? post up some grails for sale damn it!!!! Buwahahahahaha. Just posted 3, nice to haves, but not what I'd consider grails. Bump for some downhill trucks. Bump for lower prices. Shipped/PayPal gift CONUS. $35 for either set. $67 for both.